Barrister & Solicitor, B.A. J.D. LL.M. "A legal resource for those criminal defence · cross-border car accidents · DUI / DWI · personal injury · criminal law cases including: aggravated assault, attempted murder, criminal negligence charges." Memberships: Dil Gosal's memberships enhance his ability to successfully represent our clients. Mr. Gosal has sought Global Perspectives on the Law. Over 80 Hours of Continuing Legal Education Seminars since 1999. A legal resource for those cross-border car accident / DUI (Drunk-Impaired Driving) / personal injury legal cases. Prior to being called to the BC Bar, Dil articled to Glen Orris, QC, Senior Criminal Barrister, Vancouver; and articled to Marvin Stern, Esq., Senior Criminal Barrister of Stern & Albert, Surrey. Race, Poverty, and the Death Penalty: Confronting Inequities of Representation (1999). New Strategies for Defending Youthful Offenders in Adult & Juvenile Court (2000). 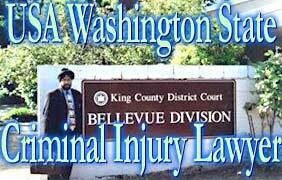 National Criminal Law Program -- Criminal Evidence [5 day program] (2003). Impaired Driving and Driving Under Suspension (2003).